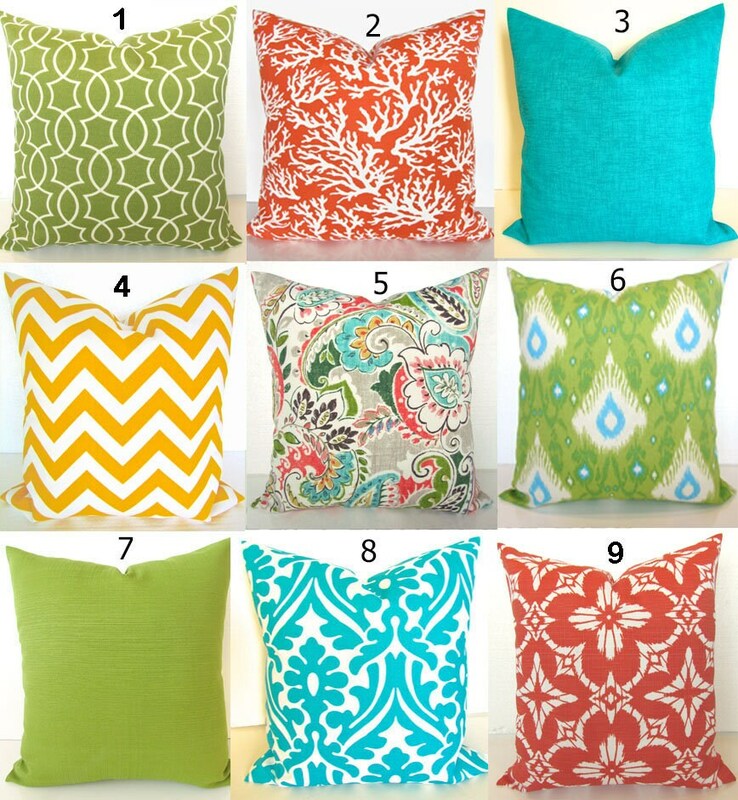 Add a FRESH NEW DESIGNER LOOK to any room with this pillow cover made for any size of pillow. It features a Modern Floral, Paisley Patterns in a Turquoise, Orange, Yellow and Coral and Green with Tan and white background. It is made up of 100% decorator weight textured woven indoor/Outdoor fabric. that is stain and water resistant and fade resistant to 500 hours. Perfect for the sun porch too. Great quality! Love my new pillow!